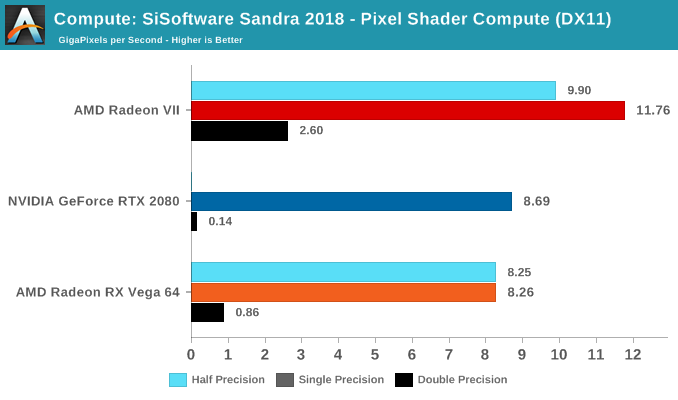 Shifting gears, we'll look at the compute aspects of the Radeon VII. 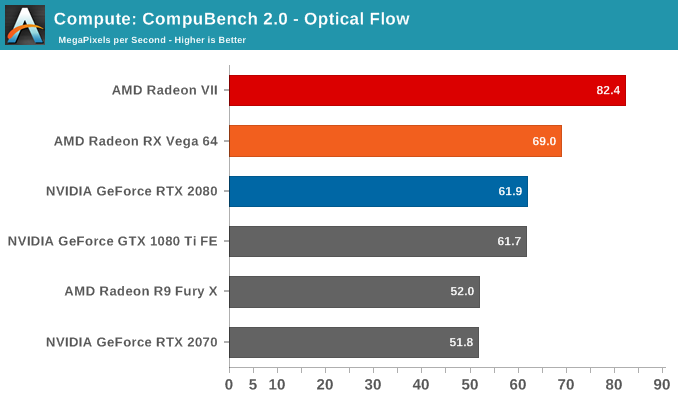 Though it is fundamentally similar to first generation Vega, there has been an emphasis on improved compute for Vega 20, and we may see it here. 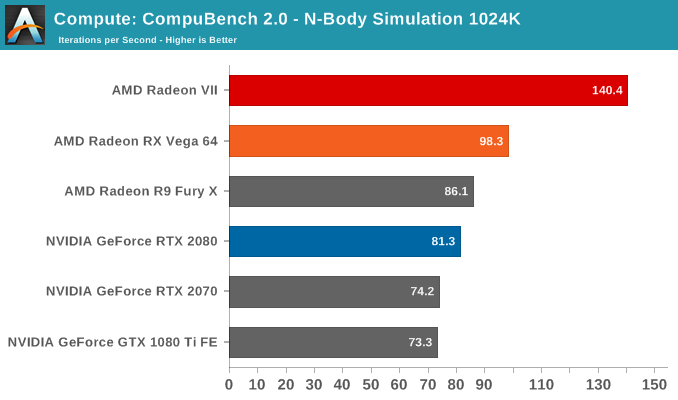 Beginning with CompuBench 2.0, the latest iteration of Kishonti's GPU compute benchmark suite offers a wide array of different practical compute workloads, and we’ve decided to focus on level set segmentation, optical flow modeling, and N-Body physics simulations. 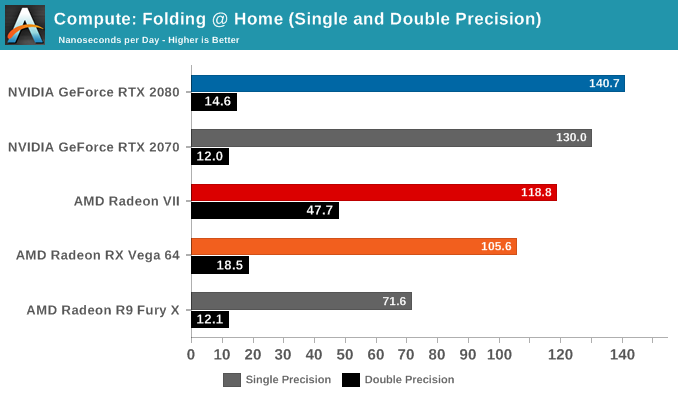 Moving on, we'll also look at single precision floating point performance with FAHBench, the official Folding @ Home benchmark. Folding @ Home is the popular Stanford-backed research and distributed computing initiative that has work distributed to millions of volunteer computers over the internet, each of which is responsible for a tiny slice of a protein folding simulation. FAHBench can test both single precision and double precision floating point performance, with single precision being the most useful metric for most consumer cards due to their low double precision performance. 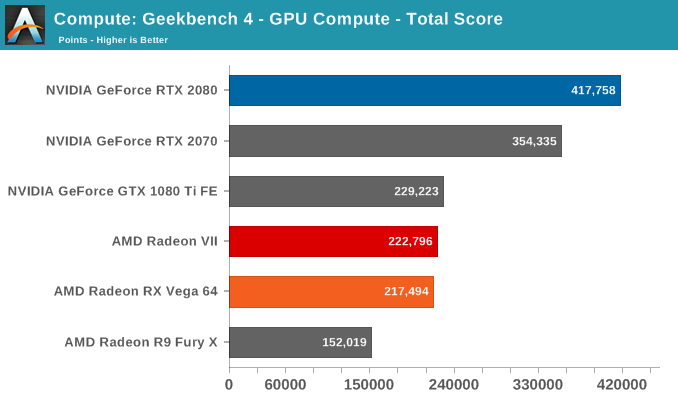 Next is Geekbench 4's GPU compute suite. 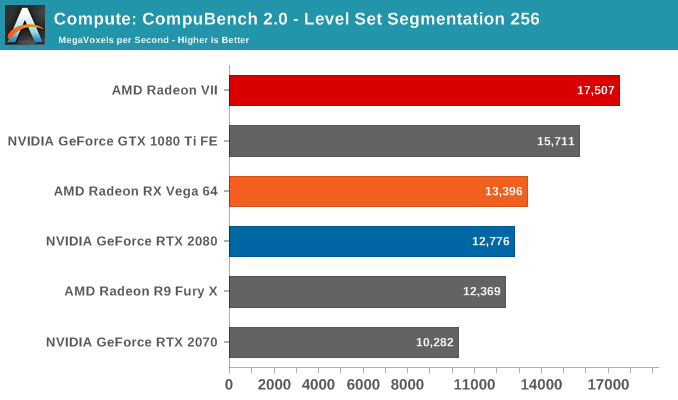 A multi-faceted test suite, Geekbench 4 runs seven different GPU sub-tests, ranging from face detection to FFTs, and then averages out their scores via their geometric mean. 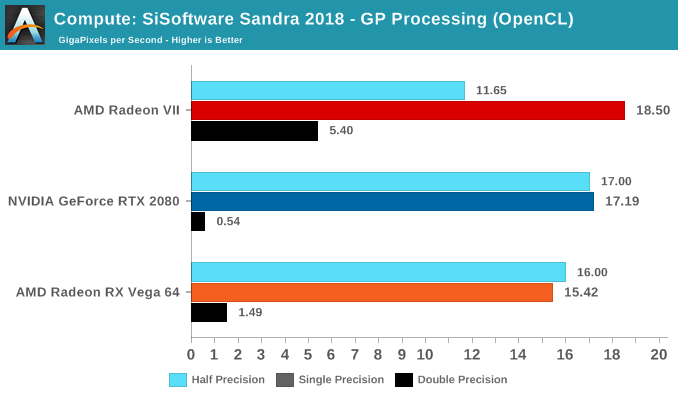 As a result Geekbench 4 isn't testing any one workload, but rather is an average of many different basic workloads. 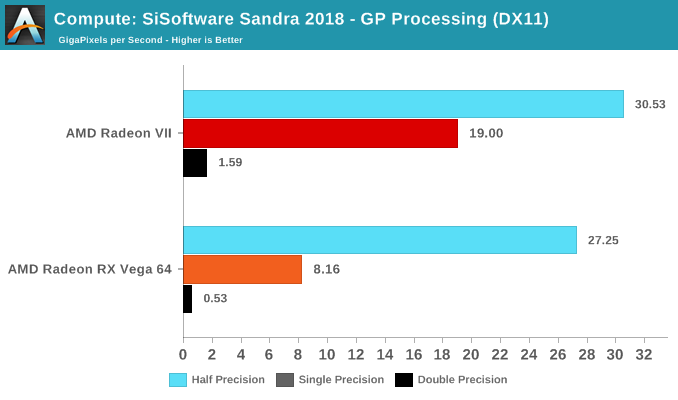 Lastly, we have SiSoftware Sandra, with general compute benchmarks at different precisions.